Our world is home to many fascinating creatures. With landscapes from deserts to rainforests, savannas to mountains, and everything in between, it’s no surprise that the world’s animals are as diverse as the landscape! Our new Wild Animal Series is a celebration of wildlife everywhere. 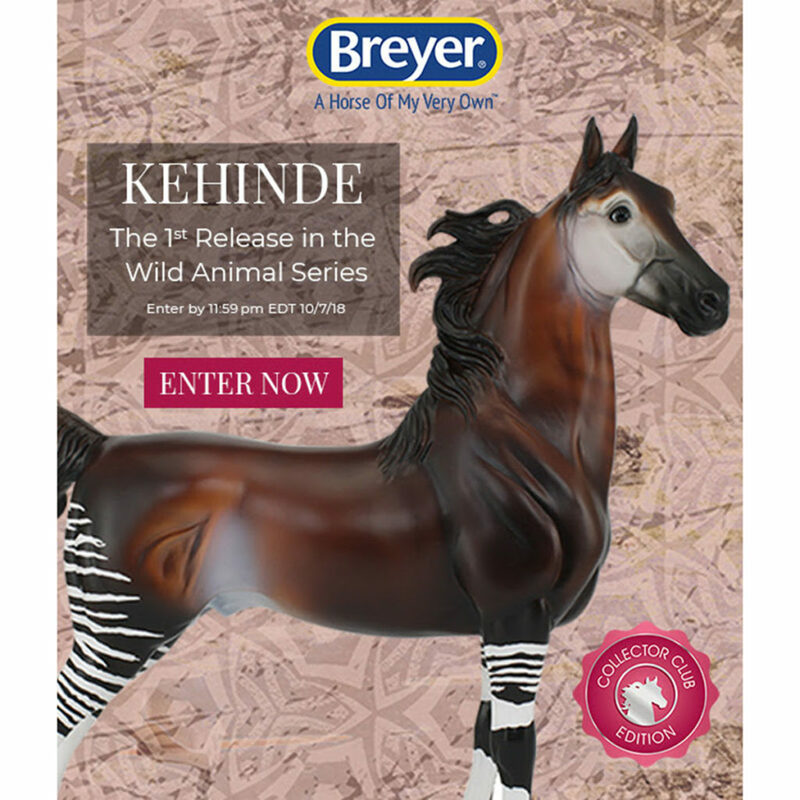 The first release in Wild Animal Series is Kehinde, and he’s inspired by the enchanting and elusive okapi. Artist Karen Williams designed this piece, and gave him an incredibly realistic coat. Just like the okapi, Kehinde has zebra-like striping on his legs and hindquarters. His richly-shaded coat has a velvety appearance, fading into his dusky face. With his alert appearance and expression, Kehinde truly evokes the look of the okapi! Kehinde has “Wild Animal Series” printed on his belly. The most common colorway was the Splash Palomino at 1050 matte models and 175 glossed models. Next was the Appy with 850 matte models and 175 glossed. Closely following was the Bay Pinto with 575 matte horses and 175 glossed. Next up was the snazzy Decorator with 425 matte models and 175 glossed. Surprisingly (or maybe not so surprisingly given the hint in the name) the Black model was the most rare with only 225 matte models and 175 glossed. What model did you get? And do you have a favorite amongst the ten different variations? 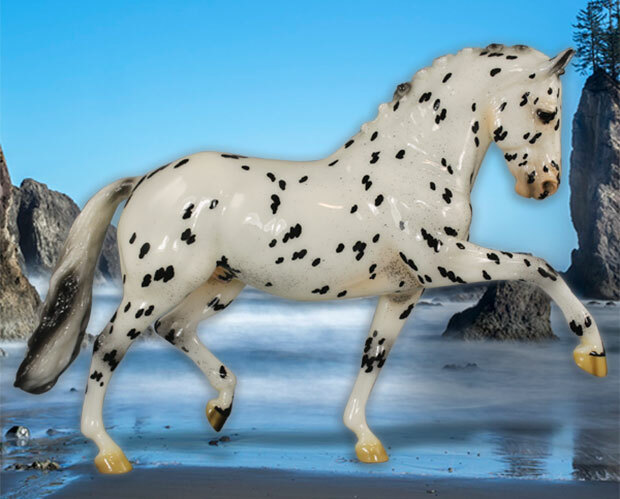 We were greatly saddened to hear that Copperfox Model Horses will be closing their doors on August 14, 2018. We were very excited about the impending release of Winston the Shire and Scamp the Pony. Copperfox’s announcement created a rush of people purchasing the last of Copperfox’s stock directly from their website and on other venues. 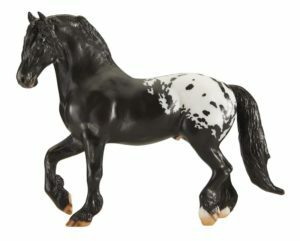 The mini resin Welsh Cob and Connemara are sold out. At the time of this post, the mini resin Exmoor, Irish Sport Horse and Scamp are still available through Suenta. 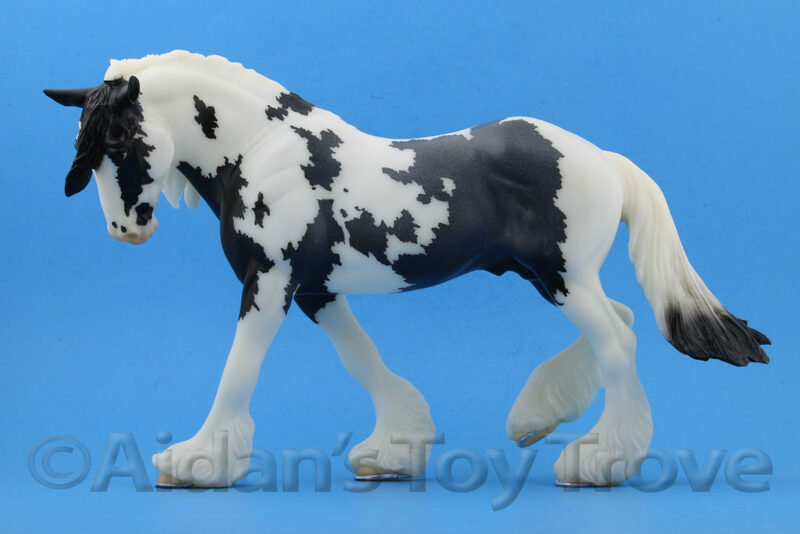 We had a very limited number of Copperfox Model Horses listed for sale on our website and sold through most of what was listed almost over night. 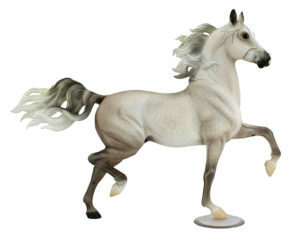 We do have more Copperfox Model Horses than are currently listed and will have a nice variety to offer. We have some First Quality Welsh Cobs and Connemara Ponies. We have Seconds of the Welsh Cobs, a small number of Connemaras and a small number of Irish Sport Horses. Off the top of my head, we have Percival (First and Second Quality), a small number of Lakeview Knight (First Quality), Tiger Woods (First and Second Quality), Bertie (First and Second Quality), Prince Cavalier (Second Quality), Gibson (Second Quality), Superman (Second Quality) and Cadbury (Second Quality). Regretfully, Copperfox Model Horses will be shutting it’s stable door on the 14th August 2018. We set out to create a range of model horses of British Native breeds for horse lovers worldwide to cherish and with your help and support through many challenges, we achieved this goal. Your encouragement and belief helped us achieve what many thought was the impossible, so a truly heartfelt thank you for making it all a reality. Our journey now though has sadly come to an end for a number of reasons. We have had a turbulent few months trying to negotiate with our factory and in short, the factory does not want to produce our models, at the quality we know our customers would expect, for a reasonable price. The factory find the models very labour intensive and therefore want to increase the price considerably, which obviously we cannot accept as it’s unsustainable. Despite our ceaseless efforts we have been unable to find an alternative factory in China nor an alternative plan of how we can continue production of the plastic models. The paint team at the factory have already been disbanded as the factory are adamant that they do not want to produce the models. This has added to the ever increasing costs of plastic and shipping, exchange rates, tooling costs and their maintenance, as well as a never ending list of production obstacles. This difficult time has had to made us review the business in-depth. Since it’s formation, it has put us both under an immense about of pressure taking an extreme toil on our health, well being, family and finances. 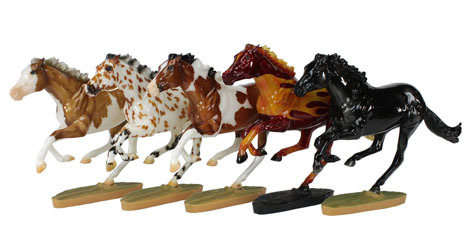 Bedtimes and family commitments have been missed due to us trying to make it work, together with countless sleepless nights as we were both utterly committed to making Copperfox Model Horses a success. With sadness, we have made the decision that the time has come for us to step away from the model horse world, a community which has changed so much during the 20 years we have been a part of it. 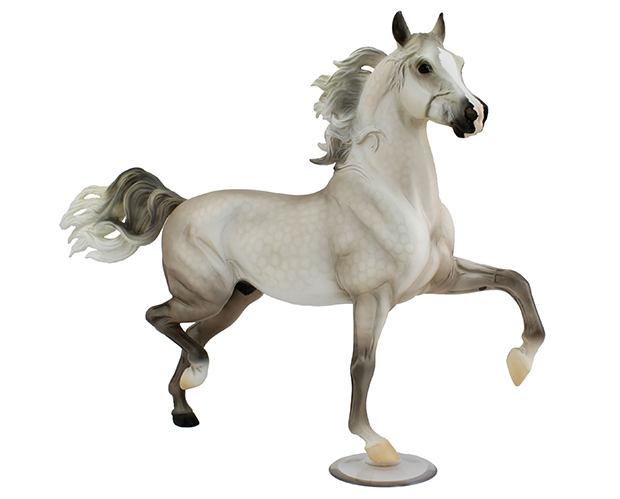 This news means that there will be no more plastic Copperfox Model Horses, even though we were on the verge of a next production run. The samples were confirmed but the production never finalised during our negotiations so no models were created. We shall be re-homing all our remaining stock from our warehouse over the next few weeks. Both our new models, Winston and Scamp are available, whilst stocks last, in resin as originally planned but there will be no plastic versions of these models. We would like to thank all you, once again, our Copperfox Ambassadors, Fans and Followers for your continued support and helping us make it all possible. Thank you for joining us on this fabulous journey and giving our models wonderful forever homes. Our heart goes out to Becky and Sharon for all the sweat and tears that they have endured to get the company off the ground. 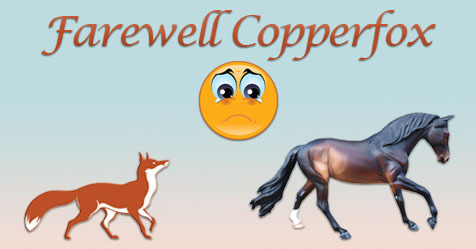 Farewell Copperfox! 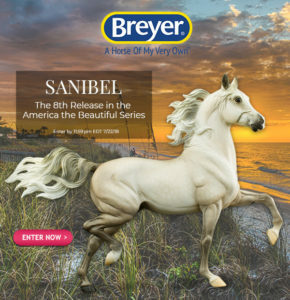 Breyer released the next Web Special Run, Sanibel. He is product number 712254. Sanibel was on display in the Collector’s Club Tent at BreyerFest 2018 and in my opinion, looked better in person than he does in Breyer’s pictures. He is the Breyer Huckleberry Bey mold in a pearly white dapple grey. In person, the pearl to his coat was not at all overwhelming. 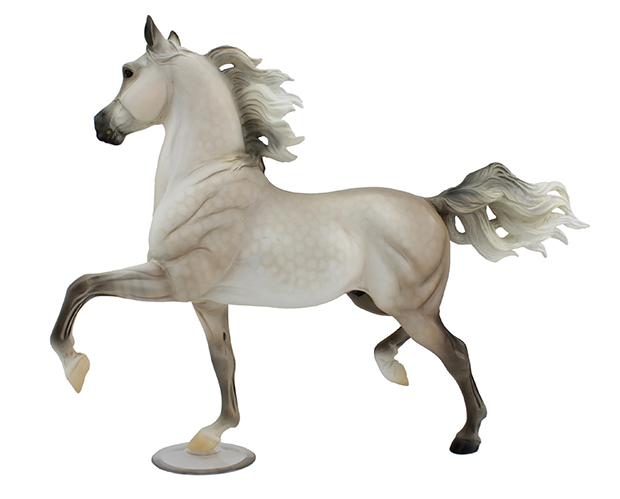 The pearl seemed to be a bit much on the BreyerFest 2018 Tent Special Run Dead Heat in the palomino appaloosas color. The Huckleberry Bey mold comes with the dreaded clear plastic disc stand which I highly recommend replacing with a resin stand. Sanibel is limited to 350 pieces and is priced at $135. I assume that the shipping cost will be $17.50. Current Breyer 2018 Collector’s Club Member may enter once a day through July 22nd, 2018 for a chance to purchase Sanibel. Make sure you are logged in to your Collector’s Club account and click this link to go directly to Sanibel’s page. In 2018, Breyer’s America the Beautiful Series celebrates special places of beauty and wonder – our National Parks & Forests! From deep, dry canyons to soaring snowcapped mountains, to rolling hills and plunging waterfalls, these beautiful horses honor our country’s diverse landscape. Varied like our nation’s scenery, the horses in this series will delight your imagination and encourage you to explore! The J.N. “Ding” Darling National Wildlife Refuge is located on Florida’s Sanibel Island. This barrier island is home to many migratory birds and mangrove trees. Encompassing over 6,000 acres, visitors to the refuge can see Roseate spoonbills year-round. These wading birds have a stunning pink coloring that intensifies as they age. Sanibel Island is also known for its incredible shell-covered beaches.